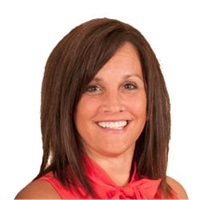 Jodi has over 12 years of experience in the financial services industry. She has an accounting degree from The Ohio State University, and a diverse professional background that includes public accounting, small business consulting, tax preparation and planning, retirement income planning, and late-stage college planning. Because of her unique skill set that includes both tax planning and college planning, her knowledge in putting together 'tax-advantaged' paying-for-college plans is sought by financial planners nationwide. Jodi does college presentations locally, and regularly addresses national audiences on various financial topics. Her professional designations include Certified Public Accountant and Certified College Planning Relief Specialist. Jodi prides herself on being an excellent communicator, and on building solid, long-term professional relationships with her clients. She accomplishes that by keeping up with industry changes and economic climates, and educating her clients and audiences on how to make decisions for today and for what the future might bring. Both her professional AND personal experiences fuel her passion for her work with families! Jodi lives and works in Loveland, Ohio and spends her free time running and reading. She has four kids - Lindsey (University of Dayton, 2015); Joe (The Ohio State University, 2017); Annie (Kent State University, 2019) and Mary Kate (Mount Notre Dame High School, 2018).